This film captured my heart immediately in its opening scene. Uriah was singing with his Father at the table in an impromptu cover of “Sunshine” which was done extremely well as an opener, showcasing not only Uriah’s beautiful unbroken voice but showing the closeness of the family unit. [ti_audio media=”1646″] This opening scene was very refreshing, unlike so many other Hollywood films that always seem to feature divorce or broken home relationships. The overall movie was well developed and ran smoothly throughout the entire length of the film. Director/Writer Lexi Alexander was not slow in developing the inter-relationships that were needed to tell the story of a Father separated by war from his family and the pursuits of the family to hold it all together in the absence of that much needed Fatherly support back at home. Lexie’s skill using closeup shots of the expression of Father and Son in those tender moments of trying to explain why dad had to leave again was skillfully demonstrated and artfully mastered. The musical score was also very pleasant and not overdone! Using featured songs by Henry even before the contest began, laid the necessary foundation for what was yet to come. In this scene Henry had been chased into the Baptist Church by the bullies from the school and found not only a refuge in time of need but also made a friend of the Pastor who quickly turned the piano over to Henry to show his hidden talent for playing and singing. The sound clips are from the movie with Uriah singing at the piano in the church then later with his dad in his home studio laying down some tracks. The remix is very cool indeed with his dad filling in with some rap. Henry sings at the church! 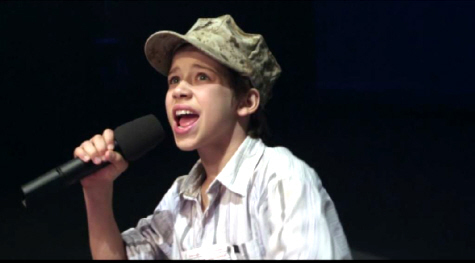 The Theme Song, “I Miss You” pretty much summed up the entire focus of the story as it related to Henry singing to his father who was away at war in Afghanistan. Anyone who has had a father stationed overseas in time of war will relate to this film as it is dedicated to those families who have sacrificed so much and been given so little back for those sacrifices. Listen to this song in it’s entirety now and you will see just why I had to share this movie review on this website! 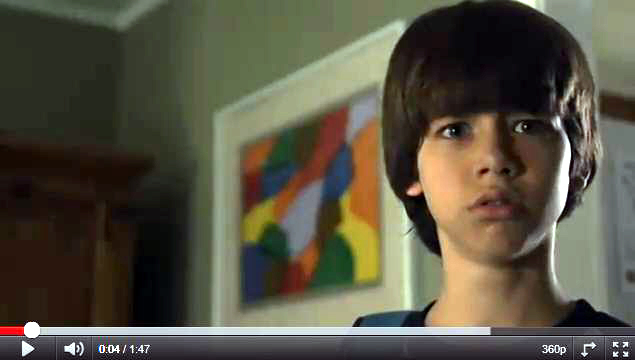 Having seen Uriah play his lead role in “Alabama Moon” as Kit opposite Jimmy Bennett was a real eye opener for me to see just how talented Uriah Shelton is as a young actor. Uriah demonstrated in “Lifted” his ability to carry the emotional scenes, crying on demand in addition to showing great joy during those uplifting scenes. I think this is what really made this film such a pleasure to watch. I can count at least two times I wiped away a tear while watching young Uriah play so convincingly the hurts he carried inside. 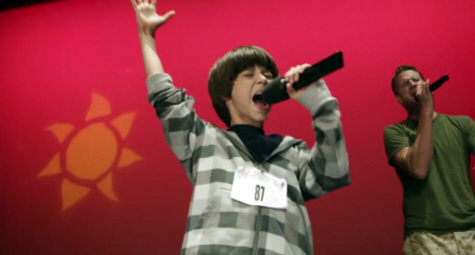 The following two scenes show Henry (Uriah) competing in a talent contest in order to raise the needed funds to help his mom support the family in the absence of his father. The story that is going on behind these scenes is only brought out at the end which I will not spoil in this review because I want you to witness it first hand for yourself. However enjoy the screen captures and sound bites below! If you haven’t seen this movie yet, I cannot recommend it strongly enough! Every family in the world should see this film. 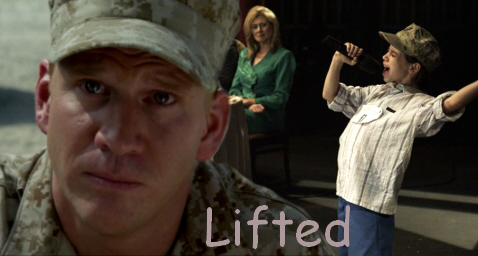 Lifted not only tells a story of the hurt, struggle, pain, and heartache of having a loved one leave home to serve their country abroad, but also shows the power of strength and fortitude of the human spirit to carry on to not only be a survivor but a victorious one! CONGRATULATIONS URIAH ON A GREAT PERFORMANCE AND FOR YOUR CONTINUED WORK AS AN ACTOR, PERFORMER, SINGER, AND ARTIST! Previous Previous post: Two Texas Teens Tommy Freeman and Michael Thompson Riff It To The Rafters!